SILICON SLOPES, UT – September 7, 2016 – Domo, provider of the world’s first cloud-based platform for business optimization, has been named to the inaugural Forbes 2016 Cloud 100, the definitive list of the top 100 private cloud companies in the world, developed in partnership with Bessemer Venture Partners. The list will appear in the October 4, 2016 issue of Forbes magazine. Domo’s customizable platform gives decision makers across a wide-variety of organizations the ability to make faster and better-informed decisions to improve business performance. Domo serves more than 20 percent of the Fortune 50 and 1,000 enterprise customers including organizations such as DHL, eBay, MasterCard, Ogio, SAB Miller and TELUS. The company has been honored with a number of accolades in recent months. A list of these honors is available at: https://www.domo.com/company/accolades. 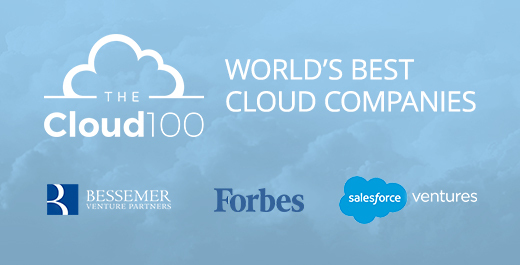 To view the full list of winners, visit www.forbes.com/cloud100.